Crisp, clean and professional! 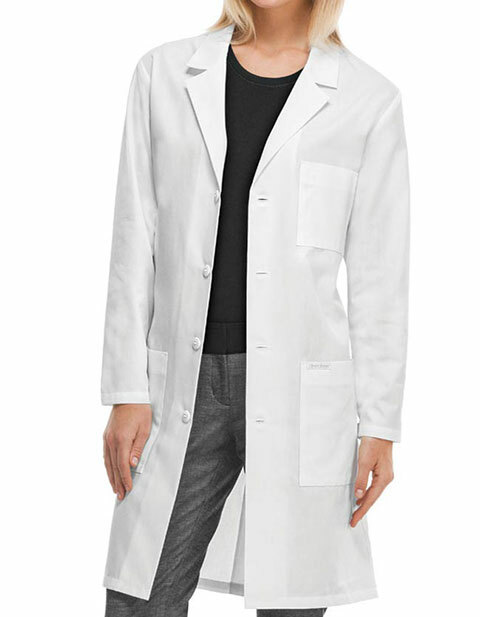 Cherokee's 40-inch unisex lab coat is a great fit for medical professionals. The Certainty antimicrobial technology makes it the perfect choice for longer shifts ensuring freshness, protection against unwanted bacteria and prolonged garment life. With its two roomy patch pockets and chest pocket with a pencil stitch; carry your medical supplies with ease while the vented back ensures mobility all day long.